Whilst the claimant was in prison he had been allocated an offender manager who completed a risk assessment, which stated that he posed a high risk in the community which was likely to be greatest if he was released without stringent supervision. The panel responsible for determining those conditions considered that the licence conditions it agreed were necessary and proportionate to the level of risk of serious harm which the claimant posed. 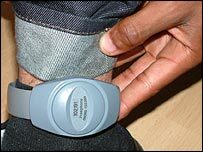 The claimant objected to the licence conditions, namely residence in a probation hostel in Birmingham; electronic tagging; and reporting at 11am and 3pm every day, in addition to a curfew from 7pm to 7am. It was the claimant’s case that these conditions prevented him from accessing his preferred treatment for his post traumatic stress disorder, which was available in London but not in Birmingham. In the intervening period those conditions were either removed or varied. Although he dropped his specific objections to the conditions, the claimant submitted that he had had no meaningful opportunity to participate in the decision-making process, namely the meetings when his licence conditions were determined and that that constituted a breach of the procedural guarantees under Article 8 . The decision making process involved in measures of interference had to be fair to ensure due respect of the interests safeguarded by Article 8 (Turek v Slovakia (2007) 44 EHRR 43). Regard had to be had to the circumstances of each case, notably the serious nature of the decisions taken. That was the same approach as the common law; the standards of fairness were not immutable. The reality was that this claimant had committed terrorist offences. He refused to engage in rehabilitative work in prison. Nor would he accept responsibility for his offending. His [Offender Assessment System], which had been given to him, were that he posed a high risk of harm in the community. Obviously he would be subject to the most stringent additional conditions in his licence. With this as background, and the security problems in the hostel where he would live, the electronic tag was in my view an obviously proportionate response. The imposition of the conditions was not set in stone. The licence conditions were varied over time. In the claimant’s circumstances, the procedural requirements were satisfactorily met.